"I paint images I find in nature that attract me by their abstract shapes and patterns and the way light falls on them and brings color alive. I am excited by a feeling of movement and energy in nature and colors that sing next to each other. I look for subtle color shifts and then enhance those colors in my paintings so that my work has the richness of my experience of the world about me. I see the world as a bright, scintillating network of interconnecting shapes, always moving and alive." Elizabeth Kincaid has recently returned to the Pacific Northwest, and she is now teaching from her home classroom in Kirkland, WA. 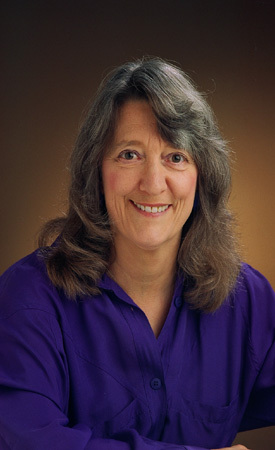 Elizabeth lived and worked in Soquel, CA, for ten years. She is originally from Seattle and lived in the Philadelphia area before moving to California. Elizabeth has a BFA in Graphic Design from the University of Washington and worked for a number of years in that field. She was a graphic designer for a community college in Seattle and did freelance illustration. She has taught watercolor privately in Seattle, the Philadelphia area, and California for many years and is teaching and painting in her home studio. She is a signature member and past board member of the Philadelphia Water Color Society, and she is a member of Women Painters of Washington.